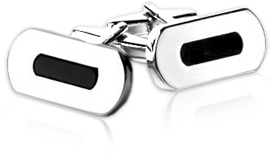 This is a modern and eccentric set of cufflinks that is built for durability. 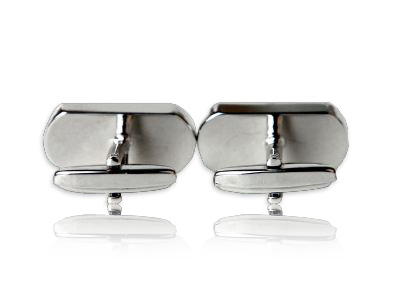 Made with silver rhodium, these cufflinks are shaped to look like small, bi-colored rectangles on which the corners were rounded, adding smoothness to their already appealing design. The center of each piece is made of black onyx, which has been embedded on a 1" x 1/2" white rounded-rectangle. 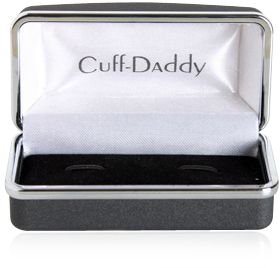 These cufflinks scream masculinity and virility and they are suitable to wear to a variety of formal and casual events, all while being tremendously easy to match, thanks to their neutral colors. These modern cuff links are interesting. 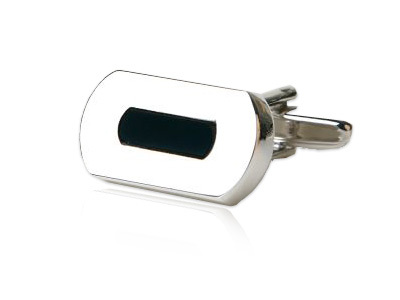 I do not usually see this kind of design when it comes to cuff links, thus it emits an aura of uniqueness and individualism to them.